The tram-car is an electrified former mule tram. 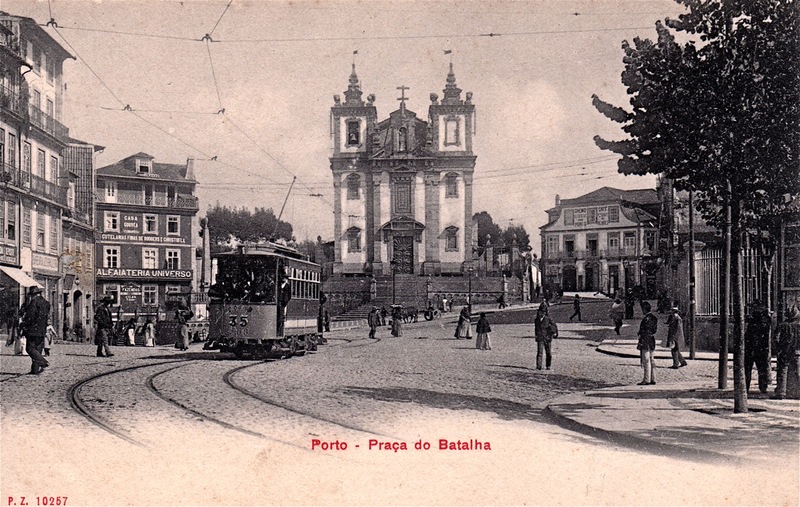 Likely the tram body was build around 1872 for the oldest Porto tram-company, the Companhia Carril Americano do Porto á Foz e Matosinhos. This company was taken over early 1893 by the Companhia de Carris de Ferro do Porto. This tram-car was likely transformed into an electric tram in 1902. I think its number was exchanged with tram-car 24 around 1904. One tram of this type survived into the 1950’s, but due to lost documentations it is unknown if it was this car or another.